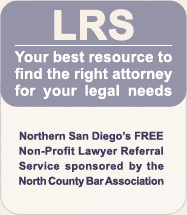 Lawyer Referral Service makes no guarantees or warrantees concerning this website, nor does it make any guarantees or warrantees concerning other websites to which this website is linked or refers. The authors of this website have attempted to meet all ethical guidelines for all 50 states and the territories and commonwealth jurisdictions of the United States. This is not a secure site. Do not transmit confidential information or any information you do not want released to the general public. The legal firm of Lawyer Referral Service, while not licensed to practice outside the United States, may represent Spanish-speaking U.S. citizens and residents, as well as foreign nationals, against US corporations in courts within the territory of the United States.